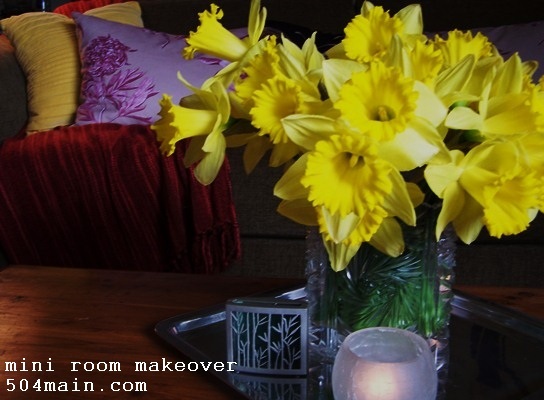 I love to change up the look of my rooms for each season. Just a bit mind you...small changes have big impact. 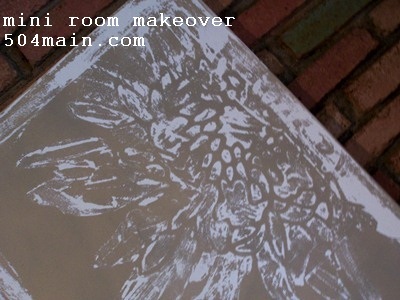 make a room feel fresh and clean and new. as the centerpiece of the living room table! When I create a plan for or design or freshen up a room, I want to create an entire experience, from the floor (working on finding a new rug) to the ceiling, and that means everything, including the senses. I love walking into a room and having a complete experience, and the right scent can do just that. They transport us to a special place. Wouldn't it be nice for your home to give that experience to your guests? with a touch of sunshine under it! With this in mind, I decided a wanted to give my home a signature scent for Spring! 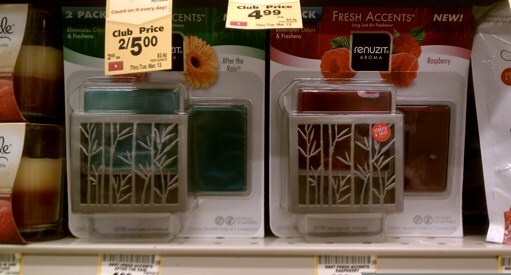 I headed over to shop for Renuzit at Safeway. 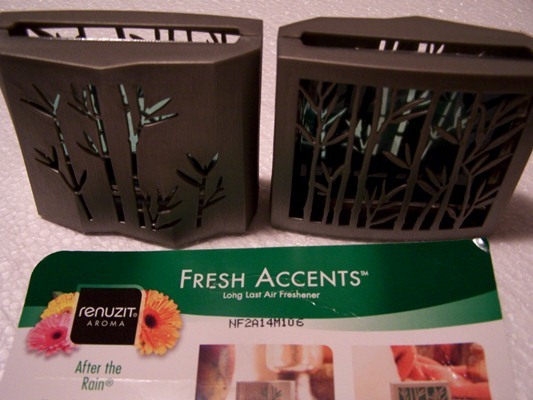 I was looking for the Renuzit Fresh Accents. The aisle was easy to find! I had two scents to choose from After The Rain and Raspberry. Shopping for the Renuzit at Safeway was super easy. 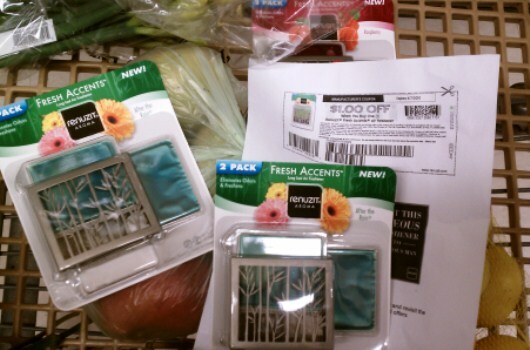 I had to hit the "bigger" Safeway a couple of towns over, but it was worth it...I scored my #FreshAccents in "After the Rain" scent. It is fresh and clean and just what I was looking for. 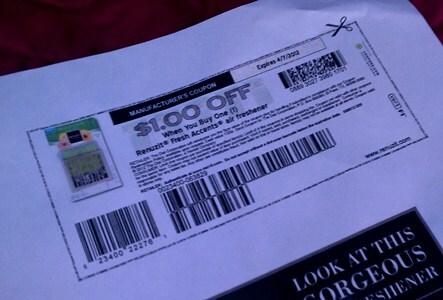 I made sure to use my coupon (yeah!) and then headed home to try it out. You can grab a coupon on Renuzit's Facebook Page! You can read all about my shopping experience HERE! they are oh so pretty. You get 2 for 1 with Fresh Accents! The 2 different but complimentary sides are GORGEOUS! I have an eclectic mix of decor - touches of new, vintage, romantic and modern combine to match my home's personality! I have "my loves" out on display already, so I generally leave those out...forever! 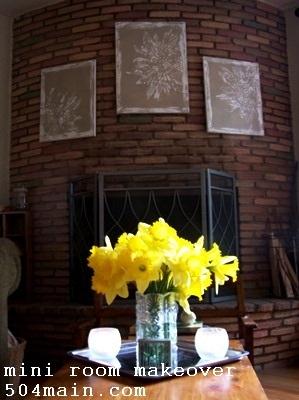 What I am looking to do with each season is to brighten up the room with color to match the season. Fresh Accents in "After the Rain," some vintage books, and a milk glass pedestal bowl. I just finished painting my living room, transitioning from a very cool purple color to a new neutral and fresh hue. Don't get me wrong I adore my purple, but now that my walls were more neutral I felt like I could play with colors a bit more. I would punch the red and neutrals up with yellows. The neutral base (couch and walls) of my living room, allowed me the freedom to use a combination of patterns and colors. 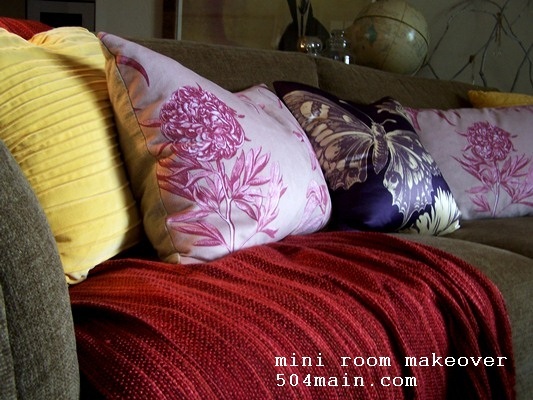 I love the way my floral pillows look with the pleated yellow ones and I even managed to sneak in a couple purple pillows! I used what I had to complete my mini makeover, but I did make some new art. (I will share that this weekend). 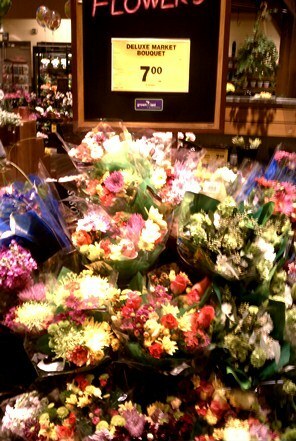 Of course, fresh fruits and fresh flowers really make it feel like Spring to me. 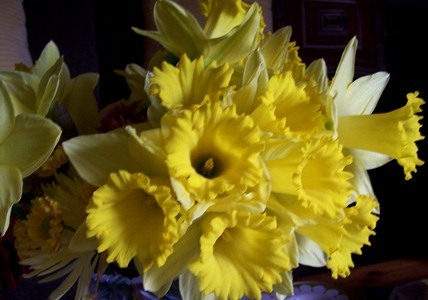 but I was drawn to the Daffodils. 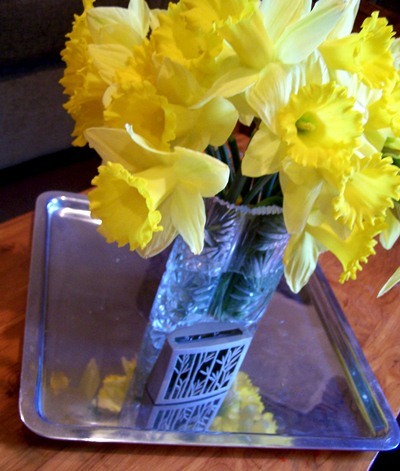 What better way to get a pop of vibrant yellow than lemons and daffodils! 1 - A good cleaning - it does wonders! I felt like I had a new room once I did a VERY thorough cleaning. 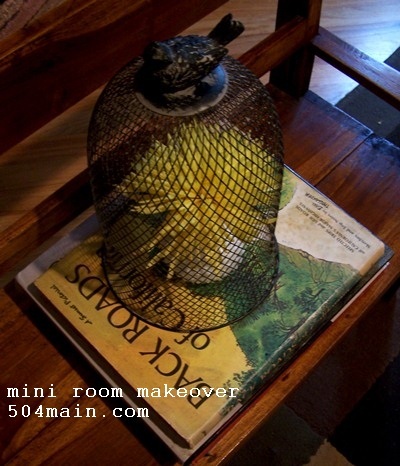 It also helps prep the room for the addition of your Fresh Accents too! 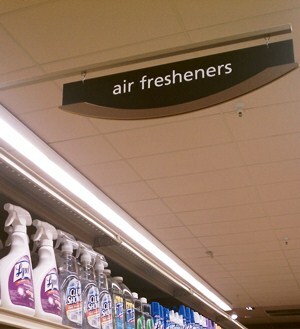 Now the scent can truly be enjoyed! 2 - Shop your own house! difference and gives the room a new focal point or perspective. 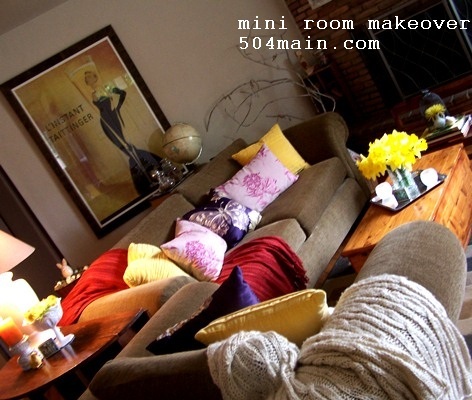 I paired "old" pillows with new, added a throw I already had, placed some of my milk glass under a cloche with fresh flowers, and mixed and matched a few pieces from around the house - it all looks new in a new "home." 3 - Think about how to create a complete environment. What will guest see from all angles? Are the pillows comfy? Is there a throw in case of a chill in the air (it is always chilly here - so that is a necessity!)? Will you be playing music? What will all of their senses remember about the room? What are sights, smells, and sounds of your home? Adding a fresh, pleasing scent is an easy way to create ambiance. Combine all of this and it makes for the total experience. My living room is really benefiting from the little bit of sunshine. 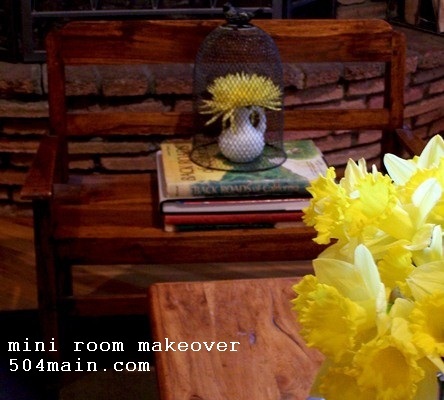 So what about you...do you refresh your rooms with the seasons? and really who needs an excuse for that? Really pretty Holly! Love the canvas art. Can't wait to see how you did them. that canvas looks so cool - I love spring and can't wait to see the rest! As much as I loved the purple wall, I really like the neutral color better. 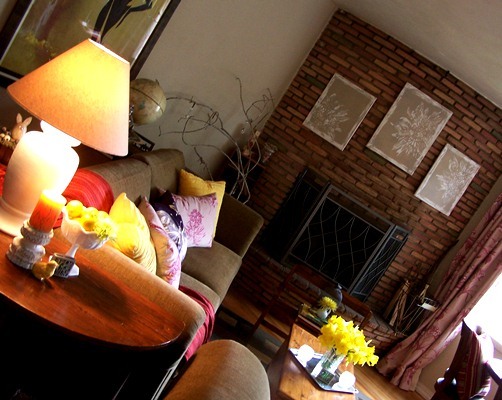 Your living room looks so inviting! And those canvases on the brick...awesome. 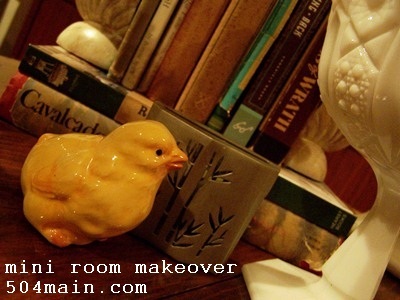 Don't paint it:-) I do the same thing, just change out some accessories with lots of color. LOVE the new scheme! It looks so fresh in there! love the color --- you have been a painting queen. it turned out beautiful!!! Your living room looks so inviting. I'd love to plop down on the sofa with all those fun pillows. Love the bursts of color. Great job. The room looks very pretty and the yellow really zings it up. My favorite new addition is the cute little chick. So sweet! Beautiful! I love all the pops of color! Oh your living room looks so lovely, and I bet it smells good too! You are more than welcome to come shop my house anytime for a mini makeover, come to think of it, let's start in the garage! I love the yellow accents you added! They really look like spring to me!